Food Guidelines give you a Structure for Weight Control! Food guidelines give a structure that will allow you to choose healthy diet habits. Many people eat whatever they want, whenever they want it, and wonder why they have difficulty with weight control! Adopting food guidelines with great meal planning will allow you to eat for health, and see where your problem areas might be. The new plate rating system developed by the USDA this year, has tried to simplify the rules of eating. The half plate rule has been adopted. Simple! Half of your plate should be fruits and vegetables; one quarter should be grains and one quarter protein! This is Lifestyle Solution that most of you could easily follow on your path to health and better weight management! My Plate Guidelines: These are the specific rules developed by the USDA this year, and also the new my plate that replaces the past food pyramid that was extremely confusing. The rules are simplified, but very generic. I am not sure most people will truly understand what eat less and avoid oversized portions really means, especially with many of us eating out and seeing enormous portion sizes. Mediterranean Food Guidelines: This is the system used in the Mediterranean region. It is not a weight control diet but a diet of healthy eating based on less meat, healthy grains, nuts and seeds, whole grains, and fruits and vegetables. I lived in a Mediterranean country for many years, and I love this diet. It is all about eating healthy, real, delicious, foods! Canada's Food Guide - looks like a Rainbow. Whatever your eating preferences may be, there are healthy food guidelines for you to follow. 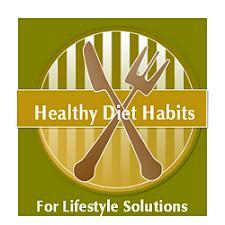 Following them is a healthy diet habit and a Lifestyle Solution that everyone should develop for weight management!